Homework has always occupied a central position in the culture of schooling over the last decades. However, there is now a growing trend within the education community that advocates a 'no-homework' policy. 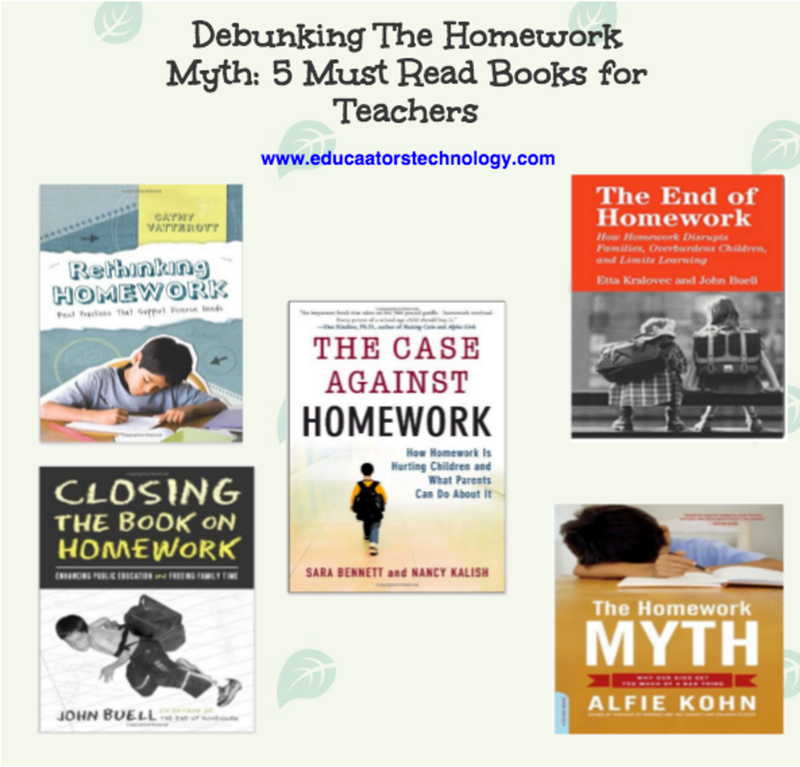 Authors such as Sara Bennett , Nancy Kalish (Author), John Buell, among many others, do not see any relation between doing homework and academic achievement especially for young learners. They also claim that views advocating the use of homework with kids are not supported by empirical evidence. To put you in the picture of the controversial discussion going around homework, we are sharing with you 5 interesting books each of which approaches the topic of homework from a particularly perspective; the common point among all of these works is that they are all against homework.